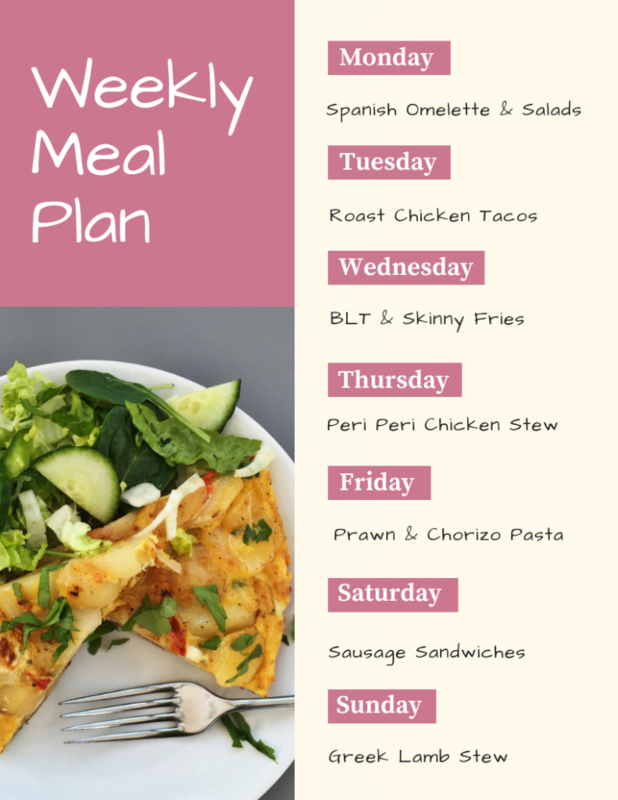 A weekly family meal plan filled with easy to make family dinner recipes that we know you’ll just LOVE! 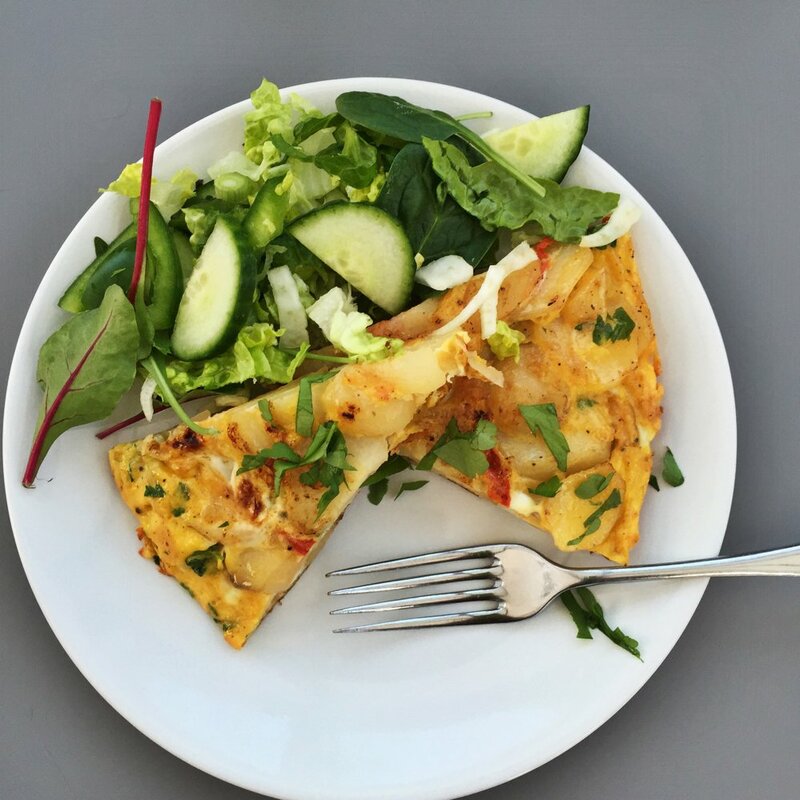 Cook up a super easy Spanish omelette with potatoes, onions and peppers – grab the recipe here. I’ll serve with green salad and probably some roast veggie couscous. This is nice cold next day too if you have any leftovers. 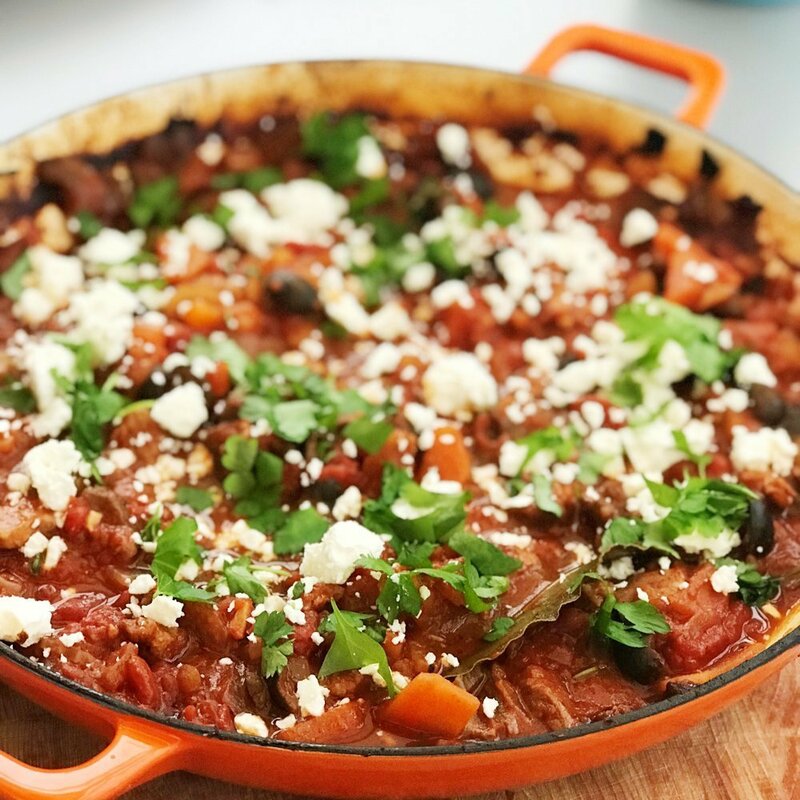 I’ll be cheating with this and buying rotisserie chicken then shredding the meat and loading into tacos with salad, guacamole and salsa – I might add a side of Mexican rice – the Tilda microwave ones are great for an easy dinner. 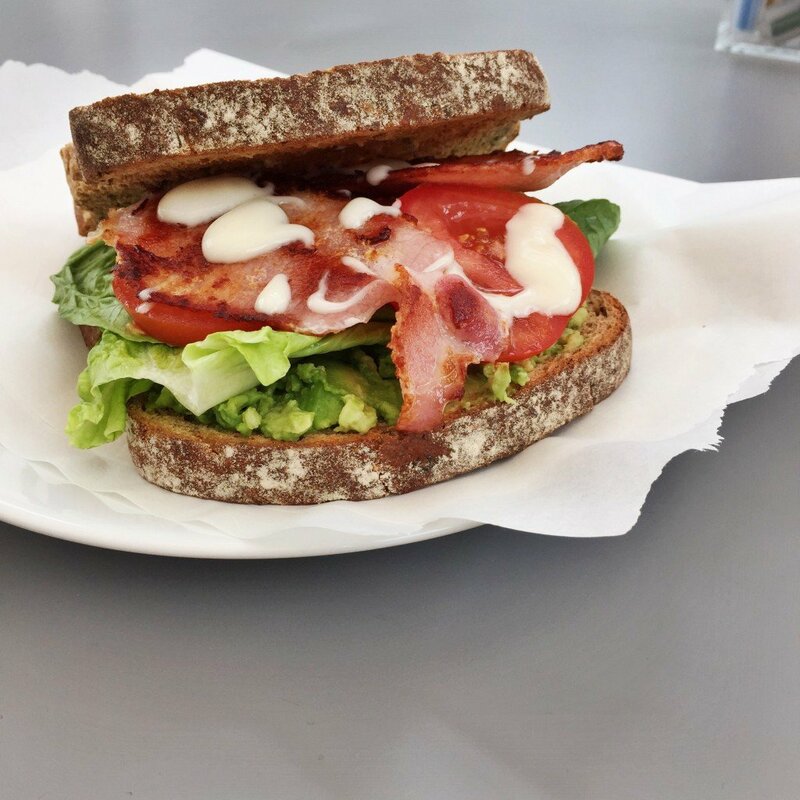 I’ll be making quick and easy BLT’s and serving with skinny fries – get the BLT recipe here. 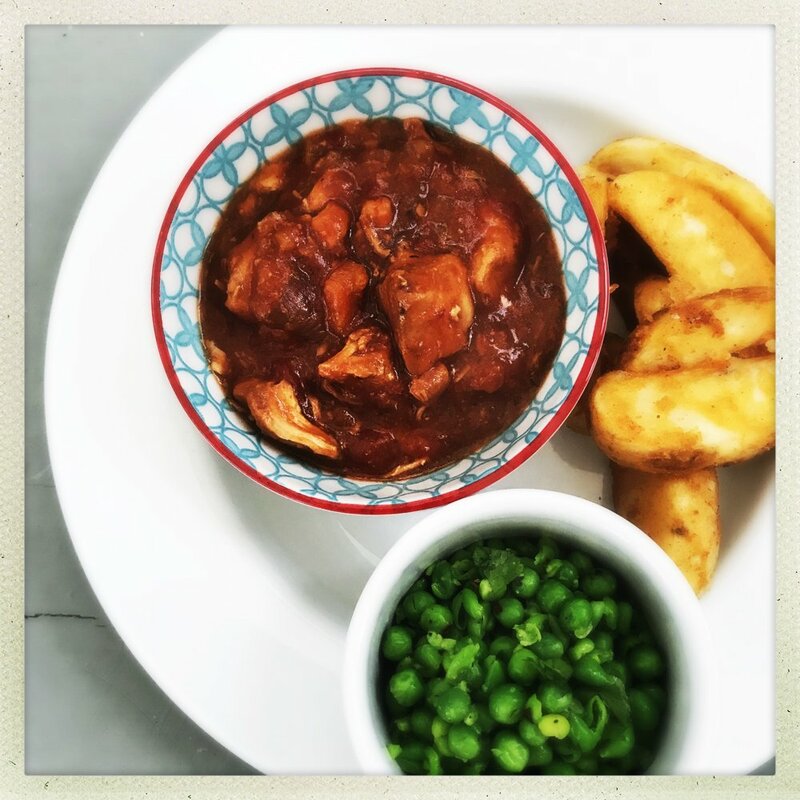 I’ll be making our super easy slow cooker spicy chicken stew and serving with homemade Nando’s style peas and potato wedges. Grab the peri peri chicken stew recipe here. I like Friday dinner to be fast and this pasta recipe takes just 20 minutes. 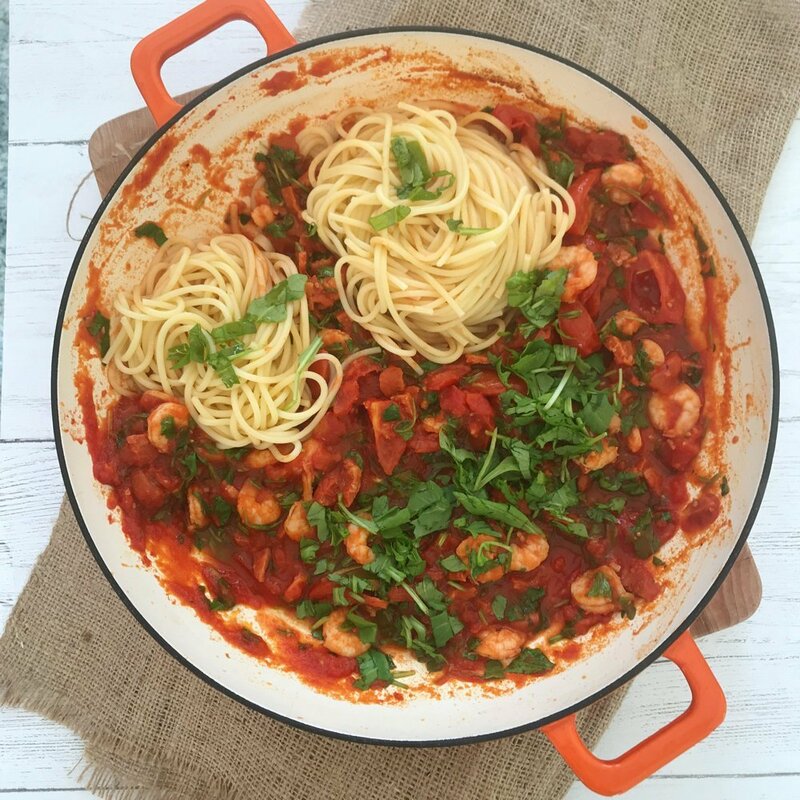 Grab the prawn and chorizo spaghetti recipe here. 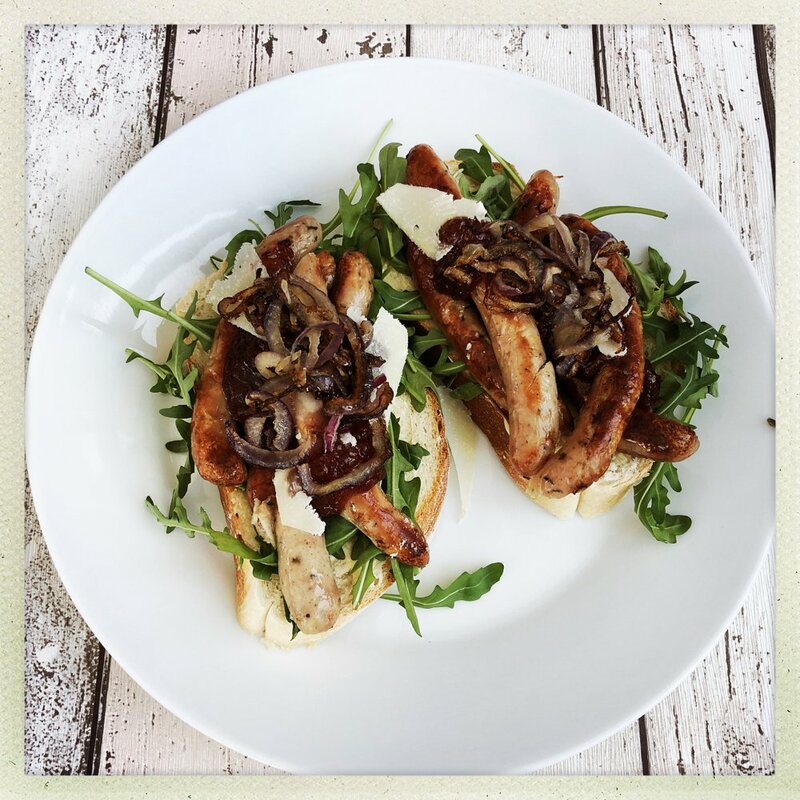 We just LOVE these sausage sandwiches – so easy to make and they’re great for Saturday night TV dinner. Grab the sausage sandwich recipe here. This is just the BEST lamb stew – so good for Sunday dinner it’s absolutely bursting with flavour – just serve with flatbreads or roast herby potatoes. Grab the Greek lamb stew recipe here.